Located in Toronto’s Railway Lands neighbourhood, CityPlace is a proposed rental housing development and part of Toronto’s Open Door Program, which unlocks opportunities on public land to fast-track planning and approvals for affordable housing. The project was developed and will be managed in partnership with Toronto Community Housing (TCHC). This vibrant nine-storey, 80-unit building harmonizes with the adjacent library and condominium and borders a proposed public park. Quinn Design Associates provided a landscape design that addresses the urban streetscape with trees in planted areas and pedestrian paving areas. A landscaped amenity space adjacent to the park features a dynamic paving pattern and a shade structure that responds to the angular geometry of the building. 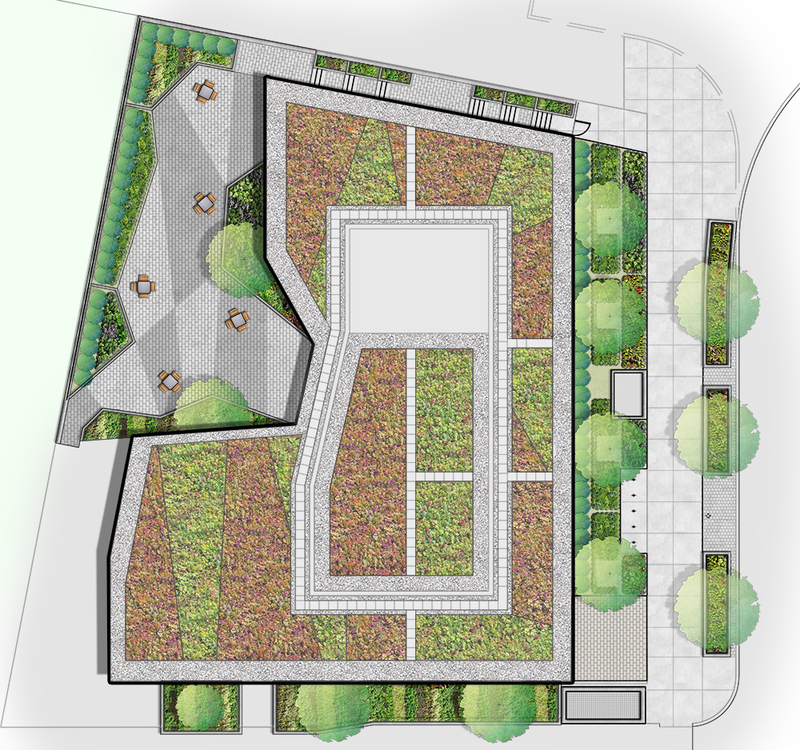 Our landscape design also includes a green roof.